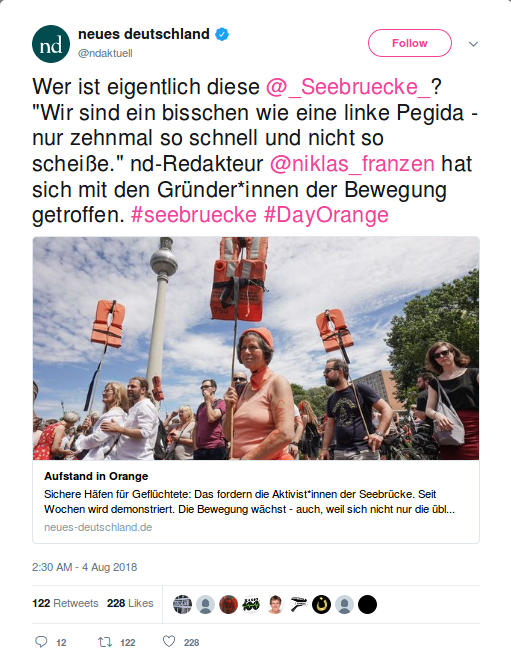 Stated another way, their goal is, by Seebrücke, to offer an answer to “Seehofer,” i.e. the conservative Bavarian politician who is currently the German Minster of the Interior and therefore directly responsible for the country’s immigrant policy. It was he who, only about a month ago, threw the stability of Germany’s current coalition government into doubt with his new hard-line demands to tighten the country’s immigration rules further. 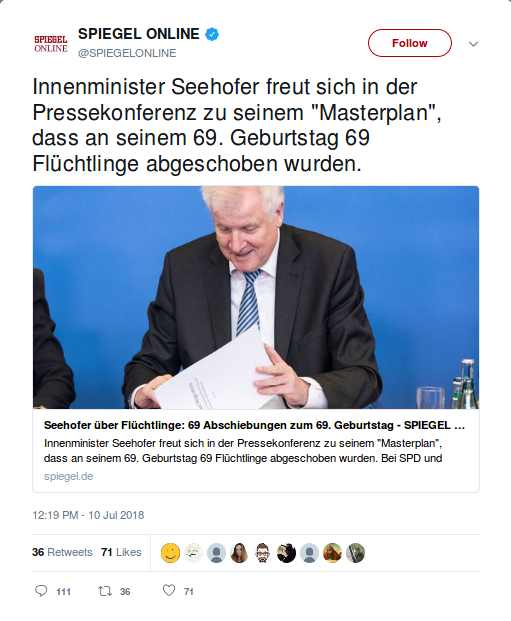 Even as he presented last month his “Master Plan” for accomplishing this, on what happened to be his 69th birthday, he outraged many by gloating that he knew how that same day would see the expulsion from Germany of 69 failed asylum-seekers back to Afghanistan. 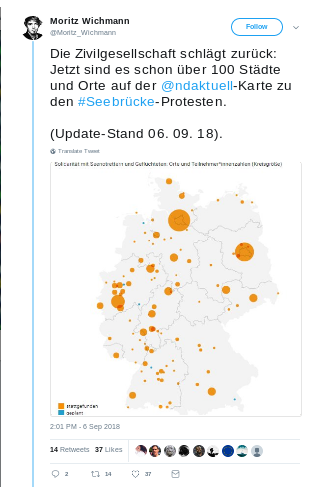 UPDATE: Here’s a map of where they’ve held Seebrücke protest-marches so far – and you can click on it to go to the website which contains a constantly updated map.